Before you start wash your hands thoroughly using antibacterial soap. Water can carry harmful bacteria, so you should always dry your hands carefully before inserting your lenses. The most hygienic method is either a lint free towel or an air dryer. Remove the lens from the packet and place on the opposite fingertip to the eye you wish to put it in. 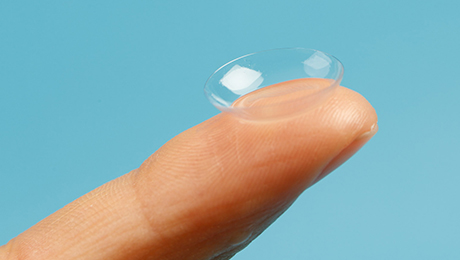 Make sure your lens is in the correct position, it should be bowl-shaped in appearance.The lens should sit on the flat part of your fingertip, for easier application. Hold your eye open with your middle finger on the lower eyelid, and your index finger holding your eyelashes against your brow. For the right eye use your right hand to hold open your right eye and use your left hand to insert. With the left eye simply reverse the process. When applying the lens, look straight ahead into the mirror, trying not to move or blink your eye. Once the lens is in place, wait a few seconds for the lens to settle, unfocus your eye, then look left, right, up and down to allow it to sit comfortably. 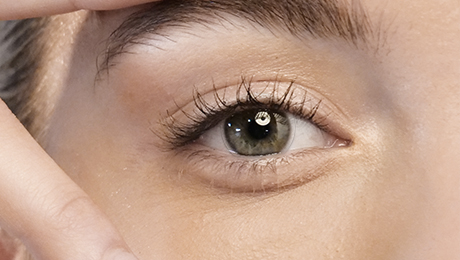 Finally, slowly remove your finger from your eyelid and gently close your eye. If it feels like it isn’t sitting comfortably, there may be an air bubble. Keeping your finger on the centre of the lens, move it around a little to dislodge any air that may be trapped underneath, so the lens fits closely to the shape of your eyeball. You can also close your eye and gently massage your eyelid with your fingertip to move the lens to the centre of the iris. If your lens still doesn’t feel comfortable, remove it, clean it with solution, and return to step 1. Always double check which eye the lens is for. This prevents discomfort and vision problems, especially if your eyes have different prescriptions. Before putting in your lenses assess the surface for any rips, tears, or debris. If you discover a rip or tear, discard the lens. Should you discover any makeup, dust or debris give the lens a thorough cleaning in solution. If you’re happy with the fit, enjoy your comfortable and clear vision. 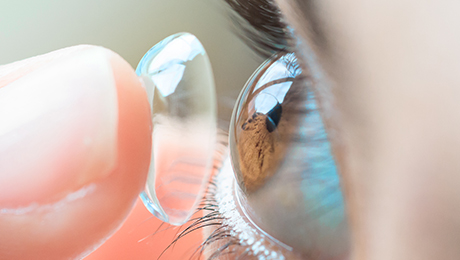 Now you’ve mastered putting in your contact lenses, why not learn how to take out contact lenses in our companion guide. For personalised advice on anything to do with contact lenses use our web chat, call our friendly customer support team on 020 7768 5000 in the UK or on 1 800 870 0741 in the US or email help@visiondirect.co.uk. They’re available 24 hours a day, 7 days a week.